IndiGo: Flying high, aiming low? Among the low-cost airlines (though, of late, the prices appear to be anything but low) in India, IndiGo is perhaps the most well-known. Not going bankrupt obviously helps but its on-time record is quite impressive, especially for a country notorious for running perpetually late (in more ways than one). It is India’s largest passenger airline with a market share of 38 per cent as of August 2017, and has been recognised as a great employer by quite a few reputed organisations. Interestingly, it is the only Indian airline that has aircraft communications addressing and reporting system (ACARS) on all its planes; ACARS is used globally to record the exact landing and takeoff timings. While these facts are certainly impressive, we decided to see if their corporate social responsibility (CSR) matched up to these high standards. Happily enough, IndiGo does issue separate CSR reports to make the job slightly easier. IndiGoReach is the CSR programme of IndiGo. The main focus areas are children and education, environment, and women empowerment. The initiatives are taken up in partnership with grassroots not-for-profit entities. IndiGo also contributes toward disaster relief and has an employee volunteering programme (iServe) as well. Judging by the number of initiatives taken up, education seems to be the primary focus for IndiGo. The modus operandi is to partner with NGOs on specific causes, with the latter responsible for monitoring the daily work being done. This approach has been adopted in view of the fact that creating awareness and changing the mindsets of local communities are challenges that most companies grapple with – through partnerships with local bodies who understand local nuances and requirements and have similar core values as IndiGo, these problems can be dealt with in an effective manner. Here we take a closer look at the various projects taken up by the company. 1. Children and education: The primary goals are to help educate children from poor and underprivileged backgrounds as well as provide employment opportunities and guidance to young people. Both set of interventions are in collaboration with NGOs. 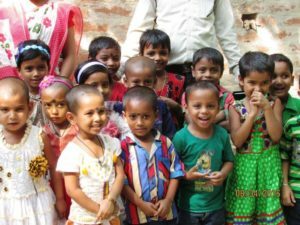 Bandhan Education Program is a four-year project that IndiGo has taken up with Bandhan Konnagar to start 400 primary schools in the rural areas of Bihar, Tripura, Jharkhand and West Bengal. The overall project budget is Rs 11 crore and will fund the primary school education of 12,507 children – all first-generation learners. An encouraging sign is the slightly higher proportion of girls among the students. Aside from providing free education, teachers are also involved in raising awareness among the parents and communities on the importance of nurturing their children’s education—and hence their future. 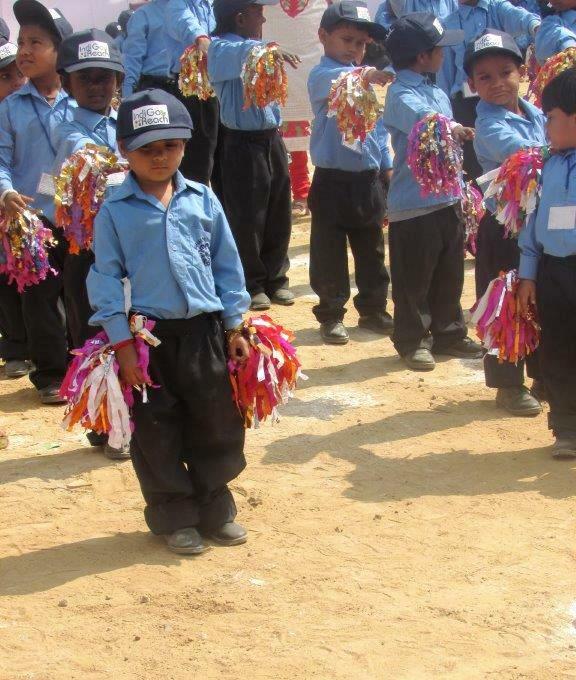 Manas Primary School is a more interesting example – started in 2015 in partnership with the All India Human Development Council, the school caters to children of migrant labourers from villages in and around Gurgaon. It uses an ‘objective-based education’ approach, where the child is taught as per his or her learning capacity and moved to the next class only once they are ready. IndiGo employees volunteer here regularly to conduct knowledge-sharing sessions. Until last year 389 students were enrolled, with about Rs 3 lakh taking care of operational expenses on a quarterly basis – this, admittedly, doesn’t seem like a lot for quality education. The third major initiative is the 6E Scholar program (named after the eponymous IndiGo flight code) implemented jointly with Mensa India (the high IQ society). 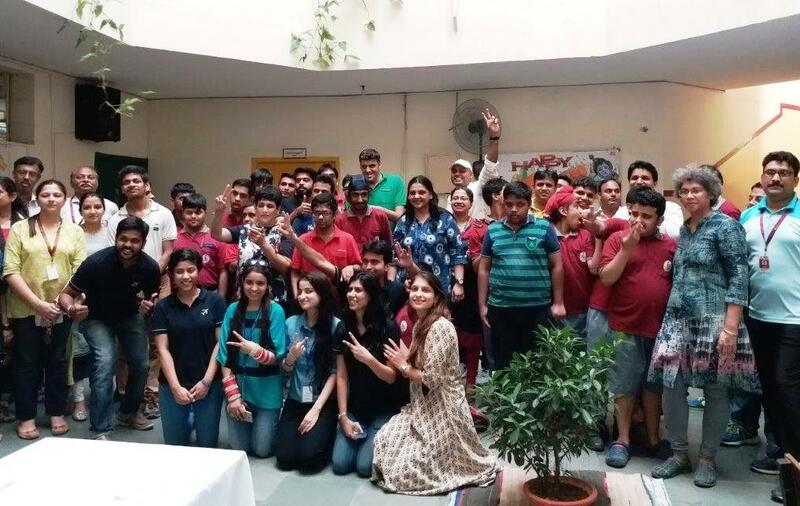 Children with high IQ from various schools run by the government and NGOs in Delhi NCR are selected and provided support in the form of a monthly stipend, stationeries, mentoring and remedial classes. Most of these students are from grades 5 to 9. The mentorship fee per child is Rs 1.3 lakh and overall project budget is Rs 1.3 crore. Career guidance is provided to these students once they enter Class 10. Other NGOs supported by IndiGo are SOS Children’s Villages, through which it has adopted ALNA, a family home run by the NGO in Faridabad, and Smile Foundation, extending support to Nai Disha School in southwest Delhi in providing education to children of migrant workers (IndiGo has been supporting about 200 children at this school for 3 years, with a project budget of Rs 64 lakh). The company provides infrastructure support to the primary and senior secondary schools in Dhela village located in Corbett Tiger Reserve, and funding, logistics and stationeries to the Autism Center–School of Hope maintained and run by Tamana. It also supports the education of 38 students at Neev, which is a school for children of poor, migrant labourers, as well as the operations of the Divyangs hostel that helps autistic children. The company has mentorship programmes for the 6E scholars. 2. Women empowerment: As with education, IndiGo works with Bandhan Konnagar on their Hard-Core Poor Programme. The target beneficiaries are families with an income of Rs 10,00 per month and with no male earning member. The purpose of this initiative is to help the selected women with employment and capacity-building opportunities within a two-year cycle through on-site/on-job assistance and business skill development training with monitoring and guidance. IndiGo’s role is to provide assets for potential enterprise development, advocacy and institutional linkages. Many of these women now earn more than Rs 4,000 per month. The ultimate goal is livelihood enhancement and to facilitate village-level committees to guide and help these women. Currently, IndiGo supports 600 beneficiaries with total funding of Rs 2.3 crore. The company is also a partner of the Nanhi Kali progarmme of KC Mahindra Trust. As part of this, it sponsors the education of 83 girls each in Chennai and Pune. Over a period of one year, the sponsorship fee for each girl child was Rs 3,000. The company has collaborated with Pradan on WATER (Women Collective Action towards Environment Rejuvenation), which is a project that targets 40,000 women beneficiaries across 430 project villages to enhance their capabilities over a five-year period. The focus here is on enhancing the capabilities of women through community groups and environmental sustainability by helping them organise themselves into various collectives. The idea is to facilitate the creation of ‘institutions’ of women at the grassroots level. 3. Environment: It is quite encouraging to note that IndiGo has acknowledged the disproportionately high contribution of the aviation sector to carbon emissions—and thereby global warming. For example, as per industry projections, aviation emissions will account for as much as 22 per cent of global emissions by 2050. As part of their environment and sustainability efforts, the company is working to reduce its environmental impact on multiple fronts. For instance, in its operations, shortening of routes and using a single engine during taxiing for takeoffs or landings have been implemented. Reducing water consumption during flights and eco-wash of its planes have helped in water conservation, while it is also attempting to bring down the weight per aircraft to reduce fuel consumption. Its newer aircraft, A320neo, is more fuel-efficient than older models that are slated to deliver 20 per cent fuel reduction by 2020, equivalent to a reduction of 5,000 tonnes of CO2 per aircraft per year. The new wing-tip extensions improve aerodynamics for lower fuel burn, saving over 900 tonnes of carbon emissions per aircraft per year. To date, these new aircraft have resulted in 15 per cent fuel-burn savings and 4 per cent reduction in noise footprint. The company also gives all used waste paper, inflight magazines and other scrap paper that it generates to Greenobin, which then recycles the lot into fresh paper, ready to be used again. IndiGo’s main climate-related initiative is its partnership, since 2013, with the Fair Climate Network (FCN), a consortium of NGOs committed to improving rural livelihoods and reducing carbon pollution. Apart from its own funding, IndiGo gives the option to its flyers to voluntarily contribute Rs 100 (per reservation) towards this cause. The money generated is ploughed back into green projects including climate-friendly technologies like domestic biogas units. 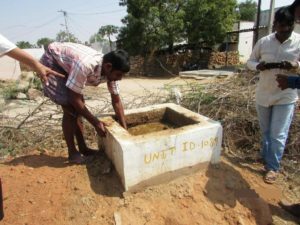 In 2013, IndiGo signed the first ERPA (emission-reduction purchase agreement) with FCN for 5,000 biogas units in Chittoor district of Andhra Pradesh. Another agreement was signed in 2015. Since these are clean energy projects, the carbon emission reductions (CERs) achieved are purchased by IndiGo – a form of carbon offsetting or carbon credit. To date, the company has purchased 97,896 CERs for Rs 11.17 crore (average price Rs 1,141 per CER) over a tenure of 7 years, and another 66,523 CERs for a total of Rs 8.5 crore for 9 years. Till now, 4,178 biogas units in Andhra Pradesh and Uttarakhand have been installed. These climate-change certified projects have environmental as well as social benefits. Aside from these programmes, IndiGo was active in disaster-relief operations and donations for the Kathmandu earthquake and the Chennai floods in 2015. In February last year, it worked with the Manipur government to transport emergency medicines free of cost to people affected by the blockades on the national highways. The company has also been recognised for its disabled-friendly infrastructure in its services, products and campaigns. Employee volunteering is encouraged and all stations are associated with local NGOs and work closely with them. IndiGo has partnered with Rajiv Gandhi Cancer Institute and Research Centre to raise awareness on preventive measures for cancer, especially for children. Overall, according to the company, its various CSR programmes have impacted 51,000 individuals through 33 projects in 16 locations across 8 states. In the last FY (2016–17), the company spent Rs 215.81 million on CSR, with Rs 96.80 million left unused from the total Rs 312.6 million (2 per cent of net profit). The company is aware of the positive impact that a strong CSR programme can have on its brand value, such that it can influence consumer behaviour. While these are welcome side-effects of good CSR work, care needs to be taken that self-interest does not supersede genuine altruism and social obligations as the reasons for doing CSR. The company is aware of the positive impact that a strong CSR programme can have on its brand value, such that it can influence consumer behaviour. While these are welcome side-effects of good CSR work, care needs to be taken that self-interest does not supersede genuine altruism and social obligations as the reasons for doing CSR. Monitoring of their programmes is done internally and through monthly and quarterly reports provided by the partner NGOs, indicating metrics like carbon-emission reduction status, units installed, economic impact, jobs created, and financial inclusion for village women. IndiGo also conducts regular on-site visits to assess the projects and evaluate the progress made. The long-term vision is to emerge as a key CSR player in the country with best practices, systems and processes, and implement development programmes through partnerships and decentralised planning. However, there’s no indication that any new major project will be adopted in the near future. Unlike other corporates, IndiGo, thankfully, has limited the scope of its CSR activities. At the same time, while branching out in terms of its partners and projects on education can be seen as a smart strategy, one would like to see the company take up its own flagship programme that has medium- to long-term goals and timelines. This has the capacity to create truly transformative change for its beneficiaries and the potential to be scaled up. It can provide invaluable learning and also ensure continuous engagement and investment from the company instead of sporadic projects that are usually of two to three years’ duration. Such a programme can be taken up with one of their many existing NGO partners. Inventive projects that are a natural fit with the company’s core function, such as sponsoring education and training for would-be pilots and flight attendants from underprivileged backgrounds, can be explored. In terms of sustainability, while IndiGo has acknowledged its carbon emissions problem, much more can be done to reduce it drastically. Its current efforts, while laudable, don’t go far enough in terms of scope or ambition. Equally worrying is that there seems to be no indication of benchmarking done (internally or externally), no clear targets or any rationale provided behind the current goals or programmes. In terms of sustainability, while IndiGo has acknowledged its carbon emissions problem, much more can be done to reduce it drastically. Its current efforts, while laudable, don’t go far enough in terms of scope or ambition. Equally worrying is that there seems to be no indication of benchmarking done (internally or externally), no clear targets or any rationale provided behind the current goals or programmes. Globally, the most sustainable and green companies are ensuring that each and every part of their business has its current emissions and environmental impact thoroughly assessed, and targets are set accordingly, keeping in mind factors such as local and international regulations and agreements, steps taken by other best-in-class companies, and their own capabilities and limitations. Metrics like emissions per employee and even suppliers’ environmental impact and human rights record are being tracked. There’s much that IndiGo can and should do to ensure that it takes its responsibility and contribution towards a greener future in a manner befitting the country’s largest airline. It has already taken the first step – being aware of its own impact; now one would like it to go several steps further and set an example for the rest of the industry.